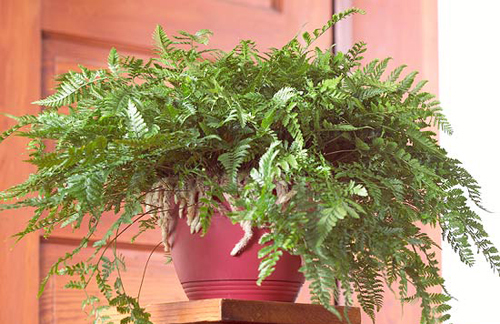 3 Great Ferns to Grow Indoors. When it cold outside it's hard to think about garden pottery & what to plant. So, we found a few suggestions at BHG that we would like to pass along. It's all about the top 3 ferns to grow as houseplants. Starting with Lemon Button Ferns - these make perfect indoor houseplants with their cute, golden green fronds and rounded edges that give it a button like appearance. 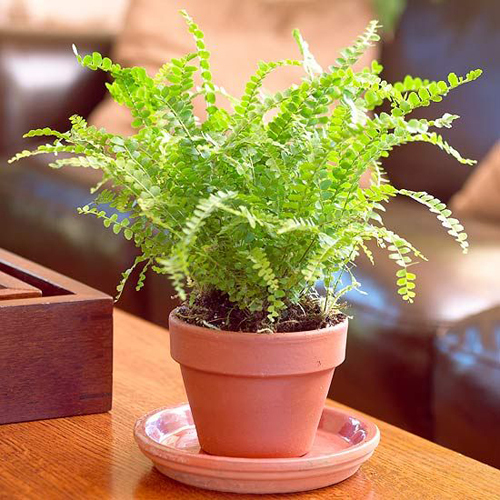 It's easy and fun to grown a potted fern for indoors that fits in well with a lot of decorating styles. Med to bright light, high humidity, 3 feet tall, 4 feet wide. 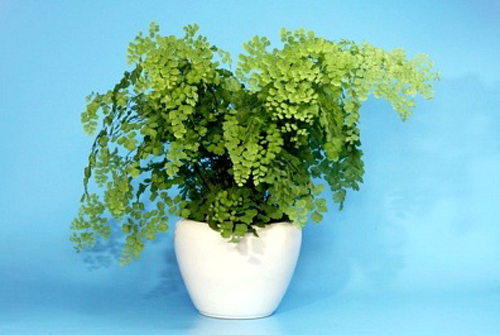 Maidenhair Fern - among the most loved ferns, maidenhairs offer a fine-textured frond on black stalks. The arching fronds emerge light green and darken a bit with age. Med to bright light and high humidity, 2 feet wide & tall. Rabbit-foot Fern - is a slow growing fern that offers dark green, fine textured fronds and fuzzy stems that creep down over the pot. These stems are what gives this potted fern it's delightful name. Med to bright light, high humidity, 2 feet tall & wide. Staghorn Fern - among the most spectacular of ferns, staghorns don't need to be grown in soil so you often see them mounted and grown on walls & posts. Green, antlerlike fronds that make a statement in your home. Med to bright light, high humidity, 6 feet tall & wide. Just a few great ideas that you can easily grow this time of year. Pick out a colorful container or go with a more traditional clay flowerpot. Either way you will add life, color, & earthy decoration to your home. Read more.....The latest indoor gardening trend.